Welcome to the New Shooting Times! Based upon careful consideration and diligent marketing research, I am pleased to announce that we will no longer use high fructose corn syrup in the production of The Shooting Times. Beginning with this issue we will use only pure cane sugar – enjoy! Seriously guys, after we released our first issue ten years ago, our circulation has grown tremendously as we continually look for ways to improve upon what we set out to do in the first place: support you with relevant and factual information in a fun and dignified way! I thank my daughter Farley for pushing me to offer the first 4-page edition. 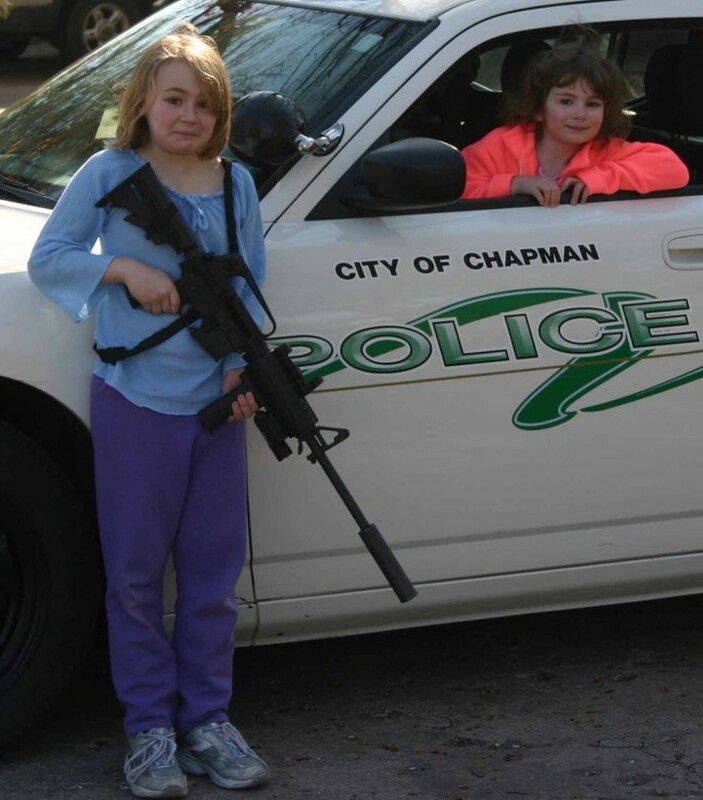 Our readership has seen many examples of “tactical stuff” through my daughters Farley and Fiona, as well as my best friend Joan. So now with the help of my longtime friend and webmaster Darin Jahnke, and my newly found friend and WordPress guru Ellis Benus, we bring The Shooting Times to you in a friendlier and more interactive format with you, our students and readers, first in mind! I hope that our new format causes the same firestorm and uproar that happened in April 1985 when Coca-Cola introduced “new” Coke with a formula that had fared better in marketing research than the old one by over 200,000 taste-testers. The cola market in the United States had become stale and Coke announced it was changing their formula for the first time in 99 years. But Americans revolted and would have none of it! And 79 days after their original announcement, Coca-Cola followed up announcing that they would return to the “Coca-Cola Classic” that we still enjoy today. Check out this 30 second clip of Farley and note the back-blast from the gun’s incredible overpressure: https://www.facebook.com/100007877538726/videos/1901015130171053/. Note also the giggling followed by what is known as “the fifty caliber grin.” WARNING: graphic content may affect grouchy people! 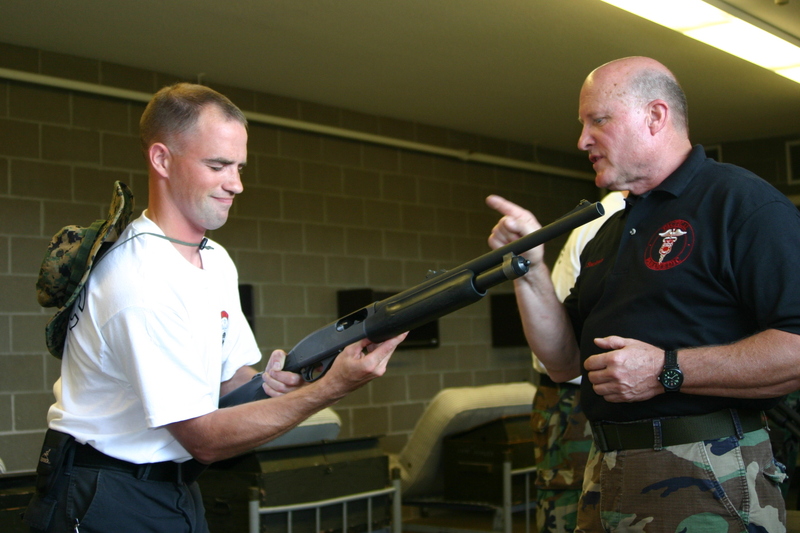 Farley prepares to release a 750 grain missile traveling at 2,800 fps during our Precision Rifle course on June 10th. 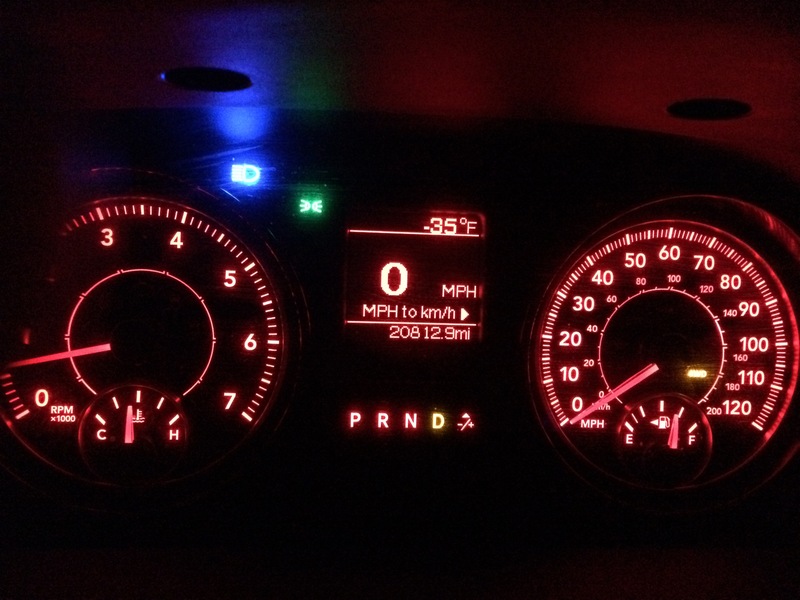 Hit the link see the barometric pressure change and listen to the funky music! CCW2 was held on July 15th, and it will return again October 14th! 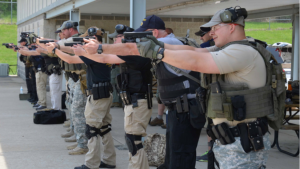 This is not only the “what’s next” after CCW1, it is a great way to address multiple skills you need if you plan to carry a pistol or have a pistol as part of your protective tool kit. This is our most often-repeated course due to the skills presented, tested, and practiced. Many of the 6,000 customers we have served recognize the importance of refreshing, and every so often they choose to do it with us! 10 minutes of dry technical work at home or a weekly trip of 30 minutes and 50 rounds at the range is of great value. But there is no substitute for having a skilled and experienced coach work with you one-on-one! 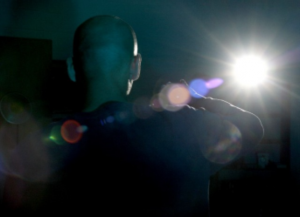 NOTE: A “coach” IS NOT someone who looks over your shoulder and watches your target. A “coach” is someone who can watch YOU and diagnose what YOU are doing correctly and incorrectly, and help remedy that. 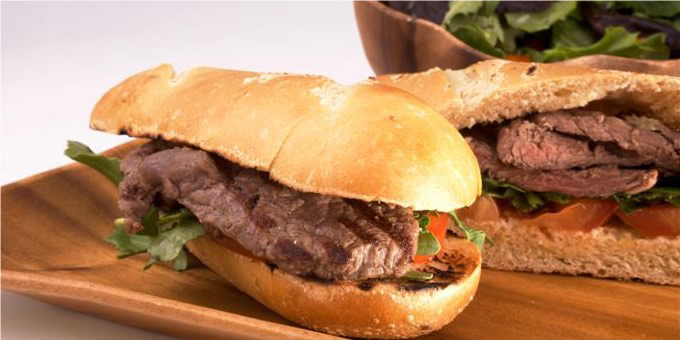 Repeat offenders, remember your discount when you repeat any of our courses! 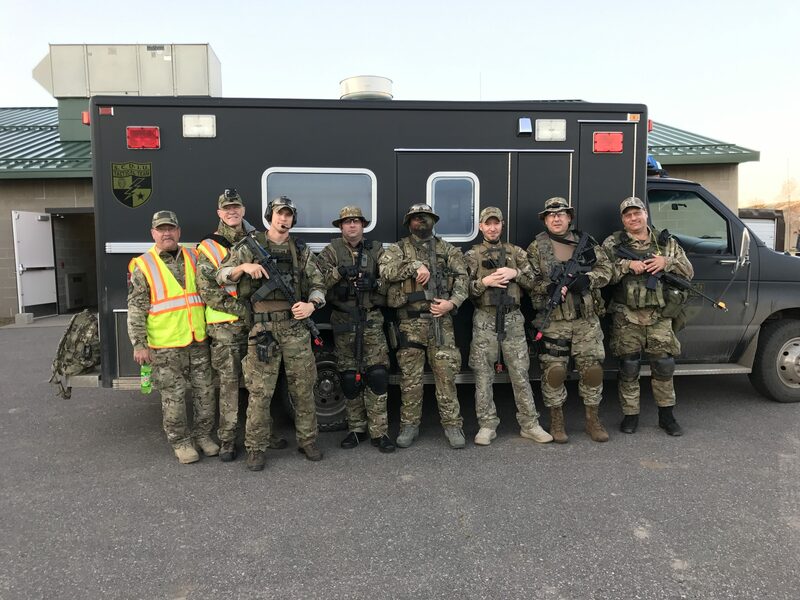 1) Crisis Casualty Care, 2) Practical Pistol Skills, and 3) Defensive Tactics with a Firearm will all return this winter, probably right after the first of the year. 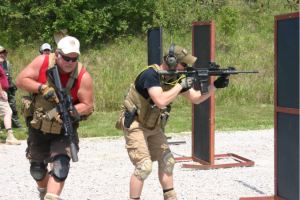 These are all excellent indoor classes for cooler weather and set up to incorporate your firearms awareness, handling, and skills to round out your effectiveness as an operator. Watch for more information about each of them in the fall edition coming in October! Royce de Barondes, Associate Professor of Law at the University of Missouri-Columbia, has filed a lawsuit against the University naming the President and the Curators as defendants. Basically, Professor Barondes is suing to enforce his right to carry on campus. Perhaps it is worth noting, Professor Barondes is not only a Law Professor, he teaches “Firearms Law.” Who better to bring this suit but the University’s own expert on Firearms Law? Joining in the lawsuit to defend the Professor’s Second Amendment rights is the Attorney General of the State of Missouri. That’s right. Our Attorney General is suing the University of Missouri over its ‘no guns allowed’ policy! The Curators’ Firearms Regulation: University of Missouri System Regulations prohibit “[t]he possession … of firearms … on University property … except in regularly approved programs or by University agents or employees in the line of duty. ” With exceptions only for campus police and “regularly approved programs,” the Regulation prohibits the possession of firearms everywhere on University property. This regulation violates state statutes. 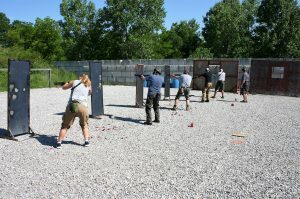 Unless otherwise prohibited (by law), a person may carry a firearm openly (anywhere) in the State of Missouri. 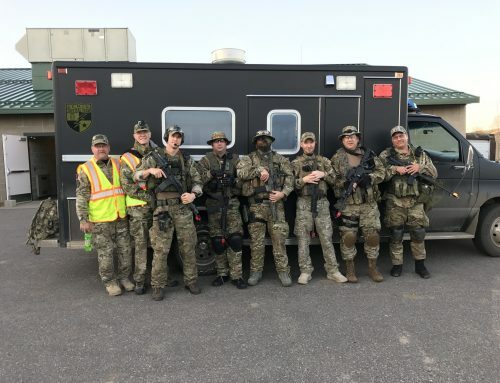 “The state shall not prohibit any state employee from having a firearm in the employee’s vehicle on the state’s property provided that the vehicle is locked and the firearm is not visible.” Professor Barondes, and all other University employees are “state employees.” as defined by law. University regulations that conflict with state law are unenforceable. In addition to violating state statutes, the University prohibition violates the Missouri Constitution. The Missouri Constitution goes on to state “[a]ny restriction on these rights shall be subject to strict scrutiny.” “Strict (Judicial) Scrutiny is considered the ‘most rigorous and exacting standard of constitutional review,’ strict scrutiny is generally satisfied only if the law at issue is ‘narrowly tailored to achieve a compelling interest.’ ” To be narrowly tailored, a law must not burden substantially more constitutional rights than necessary to further the government’s interest. The University’s prohibition, however, is not narrowly tailored. For example, the Regulation makes it impossible for any University employee who parks on University property to possess a firearm while driving directly to and from work. The Regulation substantially burdens the ability of University employees to possess firearms off campus when on the way to or from work. Therefore, Professor Barondes cannot possess a firearm while attending an after-work service project in a high crime area or while completing an evening firearms training course without first returning home to retrieve his firearm or collecting it from a secure, off-campus location. 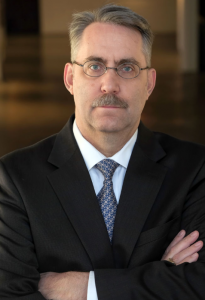 By diminishing the right of University employees, like Professor Barondes, to possess firearms during the workweek, regardless of whether they are on University property or acting within the scope of their employment, the Regulation burdens substantially more constitutional rights than necessary. The suit goes on to argue, for example, a University employee who obtains a CCW and an order of protection after receiving a direct threat of violence (from an ex-spouse) has no clear way to request Defendants’ permission to carry a concealed firearm for personal protection while at work. A faculty member whose protected speech sparks country-wide vitriol and threats also has no clear way to request Defendants’ permission to carry a concealed firearm while at work. Therefore, the right of University employees with valid CCWs is meaningless if the Regulation bans those individuals from carrying concealed firearms on University property and provides no meaningful process for them to request and receive permission to do so in the first place. Declaring that the Regulation conflicts with state statute and is therefore preempted and unenforceable to the extent it prohibits Professor Barondes and other University employees from: (1) possessing firearms while driving their vehicles on University property to and from work; and, (2) keeping firearms secured and out-of-sight in their locked vehicles parked on University property while conducting activities within the scope of their employment. Permanently enjoining the University from enforcing the Regulation to the extent it prohibits Professor Barondes and other University employees from: (1) possessing firearms while driving their vehicles on University property to and from work; and, (2) to the extent it prohibits keeping firearms secured and out-of-sight in their locked vehicles parked on University property while conducting activities within the scope of their employment. Permanently enjoining the University from enforcing the Regulation to the extent it prohibits Professor Barondes and other University employees from: (1) possessing firearms while driving their vehicles on University property to and from work; and, (2) keeping firearms secured and out-of-sight in their locked vehicles parked on University property while conducting activities within the scope of their employment. Enjoining and instructing the University to establish within 90 days of the entry of judgment a meaningful process for University employees with valid CCWs to request and receive permission (pursuant to RSMo. § 571.107.1(10)) to carry concealed firearms while at work. In any event, continue to watch this column and I will keep you posted. Note: since the fall semester of 2006, Utah has allowed concealed carry on its nine public colleges, and one public technical college, with no uptick in gun-related violence. In addition, concealed carry has been allowed on the two Colorado State University campuses — in Fort Collins and Pueblo — since 2003 and 14 Colorado community colleges since 2010. All Mississippi public colleges have allowed campus carry since 2011 and, as of last year, all Idaho public colleges have allowed it, all with no major incidents. Royce de R. Barondes, the MU professor behind a lawsuit that challenges restrictions on carrying a firearm on campus. Babb v. Missouri Pub. Serv. Comm’n, 414 S.W.3d 64, 70 (Mo. App.W.D. 2013). Phelps-Roper v. Nixon, 509 F.3d 480, 487 (8th Cir. 2007), modified on reh’g, 545 F.3d 685 (8th Cir. 2008). 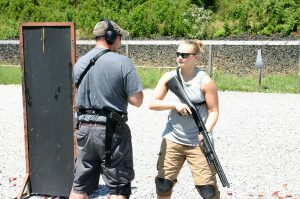 Tactical Shotgun Rocked on July 8th! 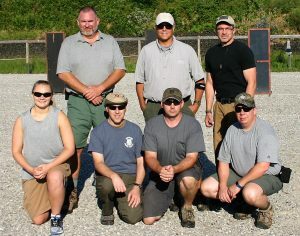 It was a small class, but only two of our participants were local. The other three were from St. Louis, Kansas City, and Omaha! 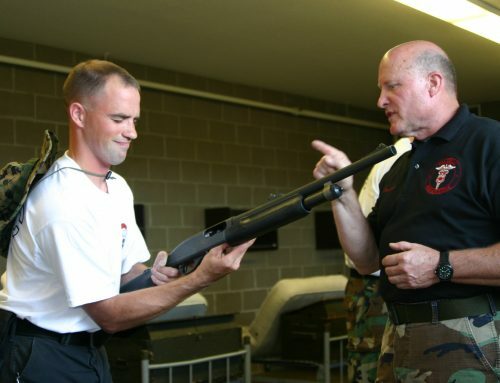 Farley demonstrates the “modified prone” technique for staying in a fighting position to check under a car, bed, or other low object. Click on the image for a short video of how to work a corner. Seamus and Farley work “CONTACT FRONT!” Your partner is the most important person on the battlefield, and two can perform a 360 degree overwatch. Note her correctly indexed finger. 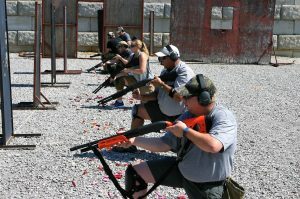 Participants learn “tactical geometry” and how to work a corner by having the shotgun up and ready, but not in front of face to block their view. 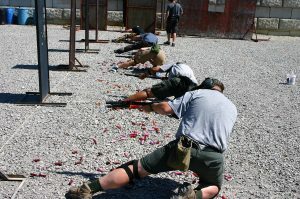 Working the “support side” and not your “weak side” is important in all aspects of being able to effectively fight with a firearm. 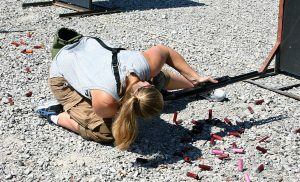 While unorthodox looking, the modified prone position is an excellent platform to use when a low profile is necessary. You gotta get a Super Belt…No kidding, I have not bought a new belt in 30 years! In 1987 I purchased my leather, double stitched competition belt from Bianchi Gunleather when I was competing in the NRA Action Pistol Championships. Since then, I have worn – almost exclusively – a heavy nylon web belt called the Instructor’s Emergency Rappel Belt made by Eagle Industries in Fenton, MO. I wore it with my police uniform to anchor my duty belt, as a firefighter/paramedic working rescues, and for 30 years I have threaded a variety of holsters through it, over it, and under it. It has given me a tremendous return on my original investment, but as a gun-toting tool is should have been retired many years ago. 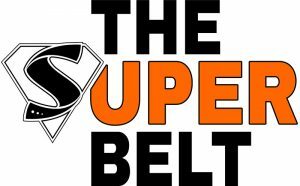 Everybody needs a Super Belt – particularly if you are carrying a firearm on your waist in or outside the beltline! From a CCW perspective, I became so used to the way my SERPA belt holster and IWB Crossbreed Super Tuck Deluxe concealment holster fit on my old belt, I forgot how much better it could be. 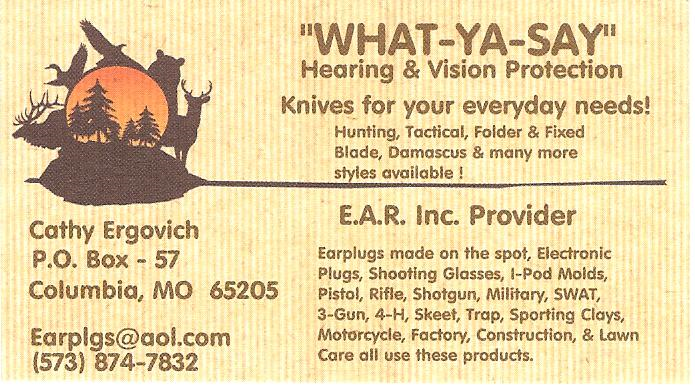 And I am the guy who preaches that a quality belt is as important as your selection of a holster and firearm – sheeesh! What I noticed right away was how much more securely my holstered pistol rode behind the point of my hip. When I wear my SERPA, the solid construction of the Super Belt holds my pistol in a more vertical orientation without the into- and away-from sway or pitch that I had with my more worn belt. The big plus here is when I am getting in and out of a vehicle or sitting down in a chair. With the old belt there was slop and movement. I got used to banging the grip of my pistol into things. Now my pistol rides with much less motion and I can articulate at the waist or shift my hips and NOT clunk into things. When wearing my IWB Crossbreed the belt clips anchor the holster securely in place and I don’t have to contend with the holster coming out of my pants or pulling free when I draw. Note: If you use a thinner dress belt or a nylon belt like I had, an IWB holster should probably have “J hooks” instead of the standard snap-lock belt clips to prevent what I just described from happening. J hooks go behind the belt and underneath the bottom instead of over the top and outside. The Super Belt (www.thesuperbelt.com) is plain and utilitarian; exactly what I like. With a choice of black or brown and shiny or subdued buckles it will pair with your dress slacks as well as jeans, or in my case…cargo shorts! The belt is made of BioThane, a material that is non-absorbent having a tensile strength of over 4,000 pounds. Go to the website and watch the videos, particularly the one where Ellis uses his belt to pull a truck uphill! Here is the bottom line. Even “experts” like me sometimes need to be reminded of the basics. You know, the simple building blocks that direct how we live, train, and do business. Ellis has a really worthwhile product here that I can depend upon and I will continue to wear mine. I respectfully suggest that you re-examine your system, equipment, and mode of carry. If it is merely “good enough” but no more than that, re-evaluate what you are doing and why you are doing it that way. I am much happier and more comfortable now than I was before with my old gear. Contact Ellis to get yours today. The website also explains how to measure for best sizing: www.thesuperbelt.com. Courses Coming This Fall – But Get in Early! CLICK HERE to RSVP before August 1st! This worthwhile event, hosted by the Boone County Cattlemen’s Association, will support keeping our respected peer and hard-working state representative Chuck Basye in his position for another term. 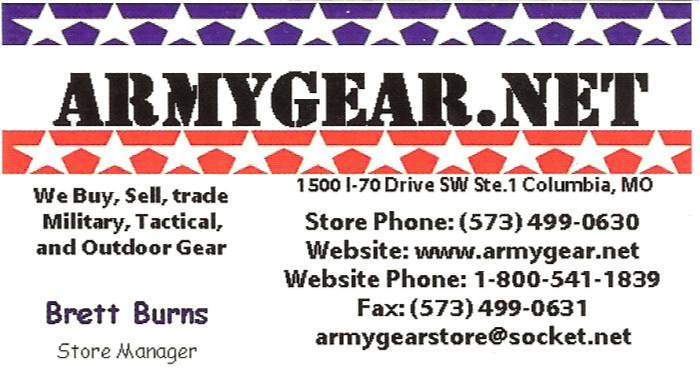 In addition to food and fellowship, a brand new AR-15 rifle has been donated as a door prize! Other special guests in attendance include Sen. Caleb Rowden, Rep. Dave Muntzel, Rep. Tim Remole, and possibly others. 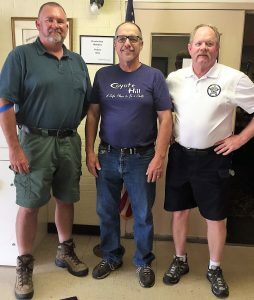 A suggested donation of $30 per plate or $50 per couple will help keep Chuck representing us in Jefferson City and doing what he has been doing so well in serving our community! Folks We Trust and Do Business With…and You Should Too! 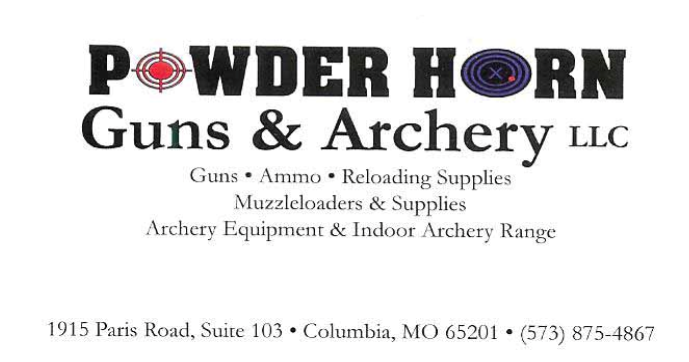 ADVERTISING – THIS IS HOW WE ROLL…Many have asked how much it costs to advertise in The Shooting Times. The answer is ZERO. I don’t currently accept paid advertising. The folks you see in our newsletter are people I know and trust and do business with myself. They share the good word about me and I do the same for them. Same kind of barter thing that helped get our country going. Still works today. So when you see an ad, a business card, or a referral in The Shooting Times, they didn’t pay for it…they earned it! Thanks everyone! More Than A Surplus Store! 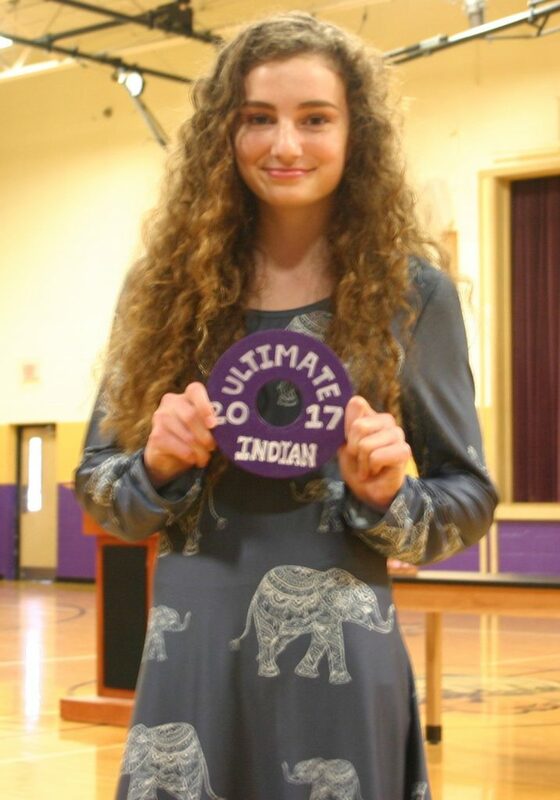 Congratulations to The 2017 Ultimate Indian! Congratulations are certainly in order for 15-year old Fiona Burke. 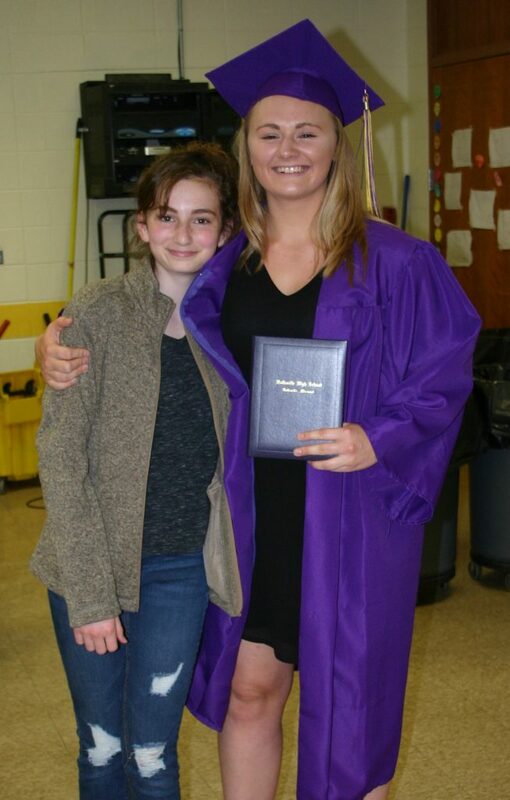 She was selected by a process at Hallsville High School that takes into account height, weight, body composition, strength, endurance, and other factors. Fiona was chosen from all 4 years of her high school peers, not just the freshmen. As you can see in the photo she is a fit and trim young lady, but don’t let her modest stature fool you. She can deadlift and squat significantly more than her own body weight, do one-arm push-ups with either arm, do more pull ups than most boys her age, and (thanks to 4 years of volleyball) she has a vertical jump of 24 inches! 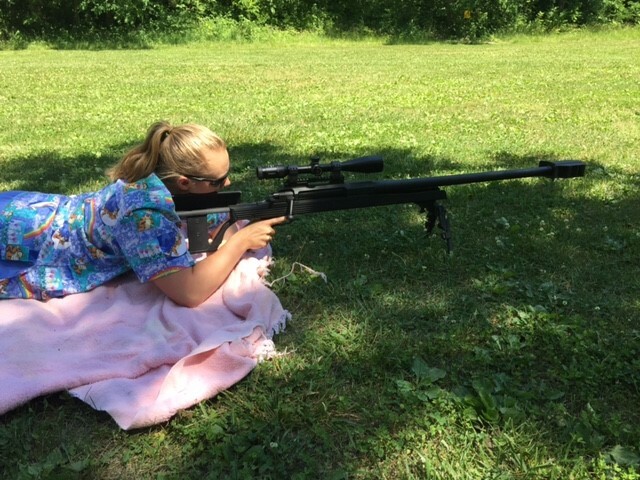 Stretching is included with her aerobic and anaerobic workouts and if it is too icky to run outside she shoulders a rifle or a machine gun to strengthen her upper body while using dad’s treadmill to do a mile or two. Her award is a plate from the weight room painted to match our school colors! Fiona was elected as the president of her class to serve on the student council in 2016-2017 and she was just re-elected to the student council for the 2017-2018 school year. Fiona just completed her freshman year ranked #1 of 118 students with a 4.0 GPA. Please share in our joy and praise since many of you have participated in feeding these two young ladies positive energy, respect, the opportunity to learn responsibility, and probably some chocolate and peanut butter too! But above all, we give God the credit and our thanks for His grace and mercy. Proud Papa,Proud Mama with exceptional progeny in todays relative values world.They are the result of faith and absolute morality. All credit to God and family values. Outstanding new format! Really enjoyed the Law Professor story. Miss y’all! You’re welcome ANYTIME. The girls are Beautiful!! I’m so proud for you and Joan. 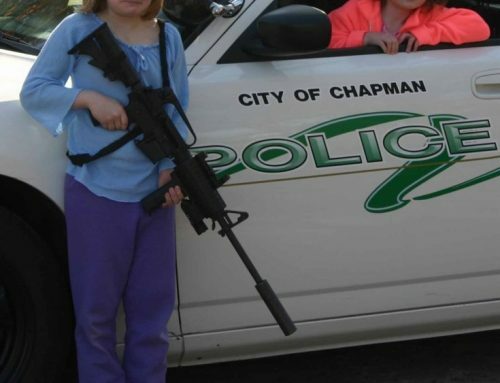 It’s not easy raising children these days but could they make you more proud??!?! I’m proud for all of you!